All About Smiles was established by Dr. Oliver and his wife over 20 years ago and has been in its current location at 641 N. Highway 99W in McMinnville, OR, for over 15 years. In February 2017, Dr. Golly was hand selected by Dr. Bradley Oliver to take over All About Smiles. We are just off Highway 99W near the north end of McMinnville. Follow the driveway behind the Dominos and Verizon complex. If you have any questions or would like to make an appointment, please call (503) 472-9435 or text us at (503) 517-4274. You can also email us appts@allaboutsmiles.us. I am your general dentist here at All About Smiles. I am a Pacific Northwest native, having grown up in Spokane, Washington. I attended the University of Washington and graduated with a Bachelor of Science in biochemistry before heading across the country to attend dental school at the University of Maryland in Baltimore. After graduating, I completed a one-year internship in oral surgery at Northwestern Memorial Hospital in Chicago and stayed in the city to join a private practice. Despite the opportunities I had in Chicago, I decided to return to my West Coast roots and made the move to McMinnville, Oregon, with my husband, Eric, and our two dogs, Zuri (a Rhodesian ridgeback) and Huxley (a yellow lab). Now I’m excited to say that I’ve stepped into the role of small business owner in addition to being a dentist. 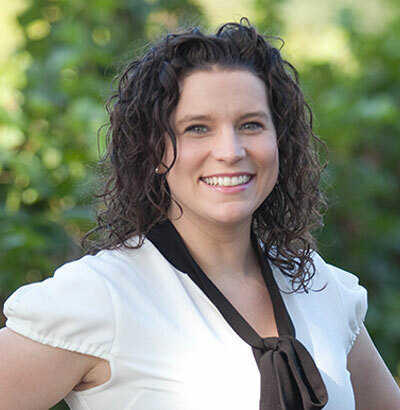 Moving to Oregon not only introduced a new step in my professional life but has opened up more opportunities to spend time partaking in some of my favorite hobbies like skiing, hiking, cycling, traveling and, of course, enjoying delicious Oregon wine. My husband and I are thrilled to call the beautiful Willamette Valley home. We are also elated to welcome the newest addition to our family: Owen Robert. He was born April 1, 2018, and we cannot wait to see what this next chapter holds.